Diamond Tip Microdermabrasion and Pure Oxygen Included in Treatment Price! This diamond tip microdermabrasion treatment gently exfoliates and rejuvenates the skin. By removing dead skin cells and loosening the intercellular glue that clogs pores, this treatment reduces pigmentation, fine lines, wrinkles, and acne scars. A series of treatments is recommended to achieve maximum results. $99 plus. Add a peel/lift for even greater results! Clinical Couture peels customized to each individual skin care concern, designed for optimized results. Address your personal skin care concerns to reduce pore size, lift pigmentation, destroy acne, brighten and tighten to reveal more beautiful skin. Individual couture lifts and peels listed below are $99 for face, $129 for face/neck and $149 for face/neck/décolleté. LED light therapy may be added to any peel/lift for an additional cost. This results driven treatment combines vitamin C, hydroxy acids and enzymes to speed up cellular renewal. New technology of centella stem cells support rosacea/redness prone skin and botanical detoxifying and energizing complexes give noticeable results in just one session. Perfect for a special occasion or event with no downtime. This exclusive blend of exfoliating agents are combined with powerful antioxidants, correcting peptides and plant derived stem cells to create "perfection" when treating advanced pigmentation, acne and/or aging conditions. Amazing results for all skin tones. 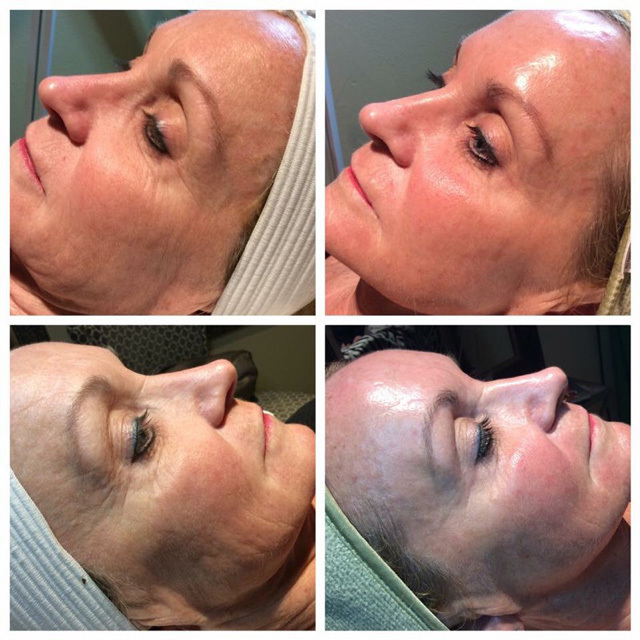 The Sensi Peel (for sensitive skin and rosacea), The PCA Peel with hydroquinone (for age spots, sunspots and discoloration) and The Ultra Peel (for fine lines and wrinkles) are advanced solutions to exfolitate and strengthen the skin, minimize the appearance of fine lines and wrinkles, and smooth and brighten for a more even skin tone with little to no downtime. PCA Skin Treatments begin at are $129 for face, $149 for face/neck, $169 for face/neck/décolleté. An advanced facial designed to soothe and heal congested, acne prone or otherwise problematic skin. This customized treatment includes deep cleansing, extractions, a clarifying mask, light hydration and spf. Pure oxygen helps calm and repair reactive, irritated, oily or otherwise problematic skin. $99 plus. Blue LED light is recommended for optimal results. This keratin treatment strengthens your natural lashes while lifting and curling them so you can wake up with naturally longer, curled lashes. 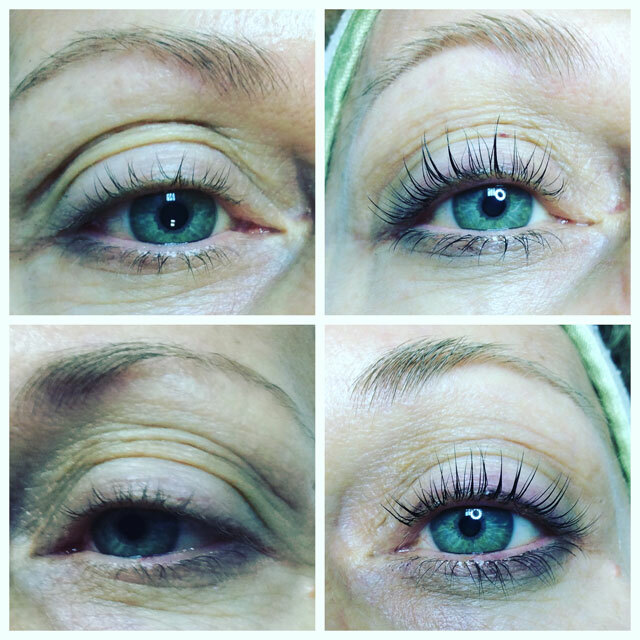 Unlike lash extensions, this treatment will typically last 6 to 8 weeks! Lash Lift $99. Add a lash tint to really make your eyes pop! Lash Tint $25. An advanced technique of manually exfoliating the outermost layer of dead skin cells removing even fine hair (peach fuzz), leaving the skin smooth and supple for weeks. $99. 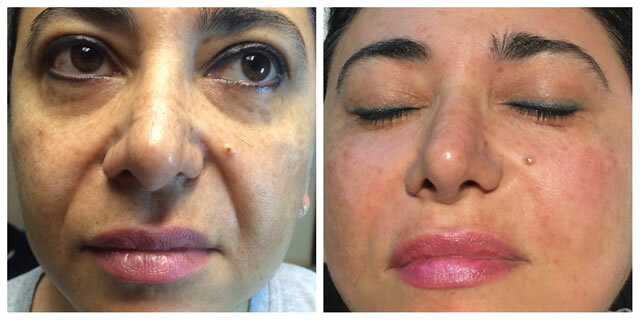 A customized treatment that uses LED Photo Light Therapy to treat and increase cell turnover, increase the production of collagen, elastin and expedite healing. The wavelength of visible and invisible light repairs and replenishes damaged skin cells. It is never too late to get flawless skin! Skin care philosophy: You can truly turn back the hands of time, given the right products and skin care regimen. Allison’s enjoyment of helping people look and feel great has translated into a successful career of twenty years in beauty and wellness. 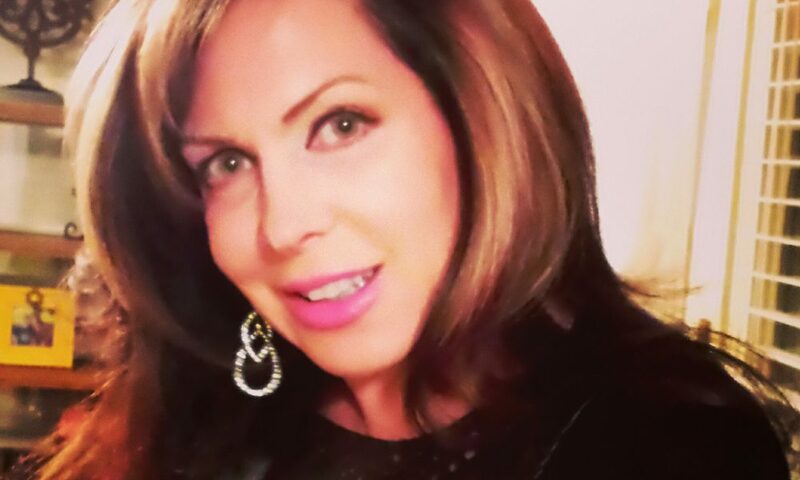 Prior to opening Flawless Skin, Allison was the Director of Sales & Marketing for a botanically based line of professional skincare and trained estheticians across the country on product knowledge and protocol. In addition, Allison oversaw a national program designed to promote salon businesses, conducting hair and makeup workshops throughout the United States and Canada. She was also appointed an advisory board member overseeing the cosmetology industry for the Texas Department of Licensing and Regulation and served two consecutive terms. Allison has been published in a variety of magazines, including M & C, Canadian Hairdresser, Vibra Salon and Voyage Dallas. 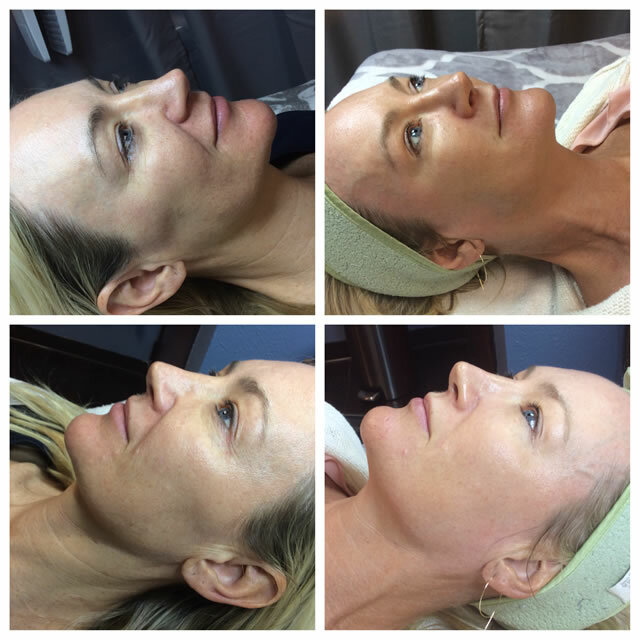 Allison has expertise in advanced chemical peels and scar therapy, microneedling, skin tightening, laser hair epilation, circumferential reduction therapy and skin rejuvenation. She embraces both a holistic approach and scientific data in order to offer superior skin wellness. Skin care tip: A high alkaline diet with lots of water is great for your body, especially your skin. Anti Aging Facials are more powerful than a traditional facial, but what if you want something stronger? What if you want dramatic visible results but are not ready to make the financial and downtime investment of surgery? Then look no further than Collagen Induction Therapy. CIT is a rejuvenating treatment for the skin which effectively treats a number of skincare concerns. 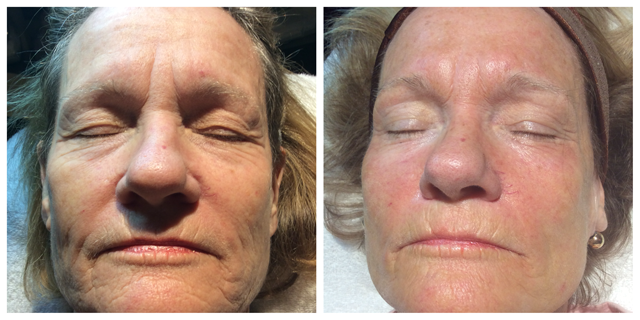 Unlike peels and laser resurfacing, CIT does not thin the epidermis. 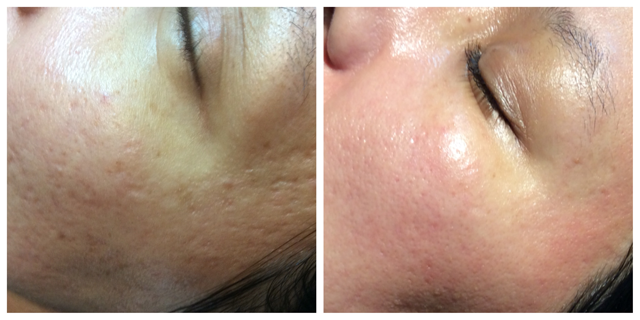 This amazing treatment actually results in smoother, thicker, tighter, brighter, more even toned skin. By the time we are 35 we will have lost half the collagen (the 'scaffolding' of the skin) in our skin and elastin (which gives our skin its elasticity), and quite simply CIT stimulates collagen and elastin production. Natural serums are applied pre and post treatment, allowing the products to penetrate deeper into the skin than they normally would. This will significantly aid the success of the treatment as the skin's ability to soak up nutrients increases by a whopping 3000% for an hour after the treatment! Due to this rapid delivery system, use of any other products, including make-up, cleansers or other chemical preparations are discouraged for the first 12 hours. Skin cells turn over every 21 to 28 days so the full results of the treatment can take up to one month to fully show. For optimum results, it is recommended to have a minimum of four to six treatments (depending on skin condition), spaced out at least 4 weeks apart. More treatments may be necessary for more significant results. Although it is still beneficial to have one treatment, and it will still give results, the results will not be nearly as significant, or as good, as having a series of treatments in the recommended time frame. We didn't age overnight…so why should we anti-age overnight? Our expectations of treatments these days are very high. We want instant hits, quick fixes and immediate results. We want considerably younger looking skin without paying thousands for a face lift…and we want the results NOW! We don't take into consideration the fact that it has taken a lifetime of environmental exposure, bad lifestyle and diet choices, lack of exercise and bodily imbalance for our skin to reach its current state. The Treatment That Keeps on Giving! Due to the stimulation of collagen, CIT is the treatment that keeps on working and giving us results over time, so our skin gets better and better. Collagen Induction Therapy is definitely the most results oriented, holistic treatment of its kind. Do not get CIT if you have had Botox injections within 14 days or injectable fillers within 30 days. It is a good idea to stop smoking prior to and following aesthetic skin treatments, such as CIT, in order to help the skin repair and for you to see maximum benefits to the treatment. Smoking inhibits circulation, it lowers levels of oxygen in the blood which can cause failure or delayed healing of the skin, bone and other soft tissue. Smoking also increases the risk of wound site infections. Dr. Hans Nasell, MD and Senior Surgical Consultant at the Karolinska Institute in Stockholm says "In elective surgery [and invasive treatments] smoking cessation can become part of a plan [to] reduce risks during and after [treatment]. It was surprising, and encouraging, to see that even stopping smoking following surgery can offer significant benefits, including a nearly 50 per cent reduction in wound complications." As we should all be aware smoking increases the premature aging of our skin, causing wrinkles, discoloration, lines, crêpeyness and sagging. Skin rejuvenation treatments, like CIT, are much more likely to be effective in non-smokers. 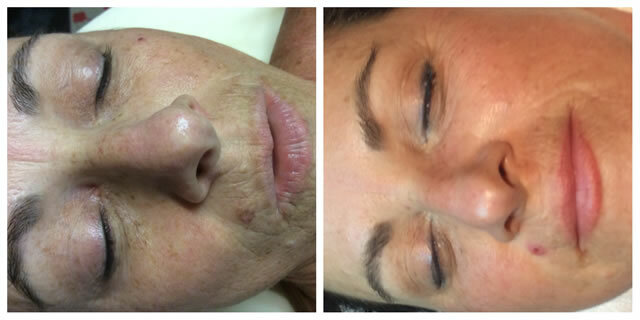 The below "Before and After" photos are of actual clients after a series of CIT treatments. 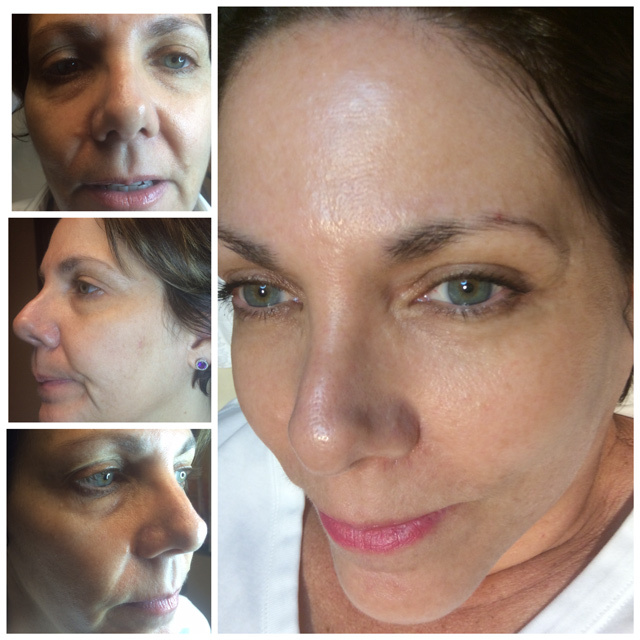 Notice the reduction in acne scars, fine lines, wrinkles, sagging, age spots, sun spots, and general pigmentation. 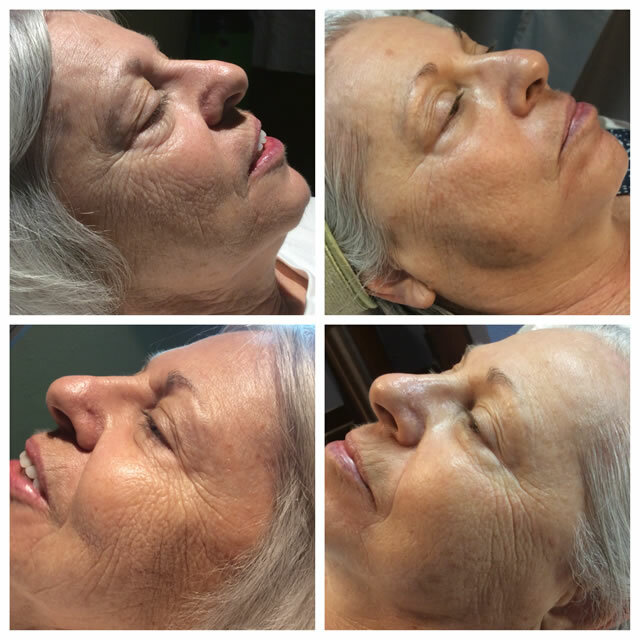 Microdermabrasion, also known as 'microderm', is a safe, non-chemical, non-invasive procedure and one of the most effective anti-aging treatments. It is a gentle skin resurfacing treatment that can rejuvenate and restore the natural glow to the skin, without the need for downtime. The skin is constantly generating new skin cells at the lower layer (deep layer- dermis) and sending them to the surface (topmost layer- epidermis). As the cells rise to the surface they gradually die and become filled with keratin. These keratinized skin cells are essential because they give our skin its protective quality. But they are constantly sloughing off to make way for younger cells. As we age the process of cell turnover slows down. Cells start to pile up unevenly on the skin's surface, giving it a dry, rough, dull appearance. Exfoliation is beneficial because it removes those cells on the top layer of the skin (stratum corneum) that are clinging on, revealing the fresher, smoother and younger skin cells below. Some of the skin's visible imperfections like fine lines and sun damaged are removed. And now without stratum corneum layer, topical high-tech skin care products can penetrate into the deeper layers of the skin and help build collagen, which gives skin its youthful appearance. Diamond-tip microdermabrasion uses the vacuum technology and hand-held wand. There aren't any crystals moving through the tip. The diamond tip itself exfoliates the skin and the vacuum whisks the dead skin away. There are many different tips with various grades of roughness, and the esthetician chooses the correct one for your skin type and condition. Diamond-tip microdermabrasion is much less uncomfortable and yields superior results. It is considerably better for mature or sensitive skin. Microdermabrasion is performed with little to no discomfort. At the most, sensitive skin might experience a slight sensation resembling light sunburn. After treatment, the skin has a pink glow, and you can resume your normal activities almost immediately. The procedure can be done during lunch hour. of collagen and "repair cells" to the skin's surface. Because these "repair cells" are newer and younger, they improve the skin's appearance. Also, the removal of surface layers improves the effectiveness of topical anti-aging products by enhancing their ability to penetrate the skin. 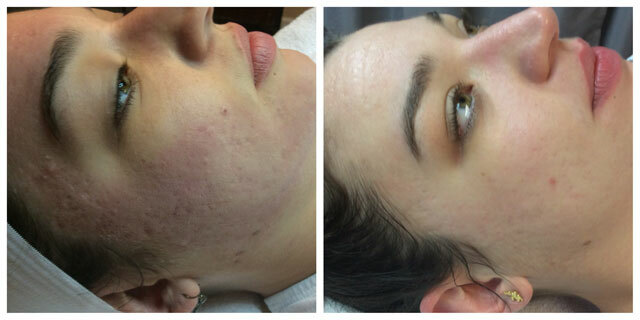 How does microdermabrasion help acne and beneath-the-surface bumps? Acne, blackheads and whiteheads result from sebaceous materials – or oil – clogging the pores, sometimes rupturing under the surface. By peeling away surface layers of the skin, microdermabrasion can remove the material trapped in many of the pores, further; the removal of surface layers improves the effectiveness of topical acne medications by enhancing their ability to penetrate the skin. Age and skin condition determine the number of treatments required to achieve optimum result. A typical regimen consists of a series of four to eight treatments done at intervals of two to four weeks. Our skilled estheticians will recommend a program for you. 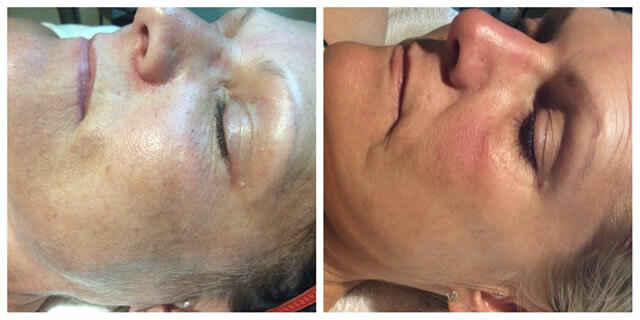 Do not get microdermabrasion if you have extremely sensitive skin, diabetes, vascular conditions like rosacea, skin inflammation, bacterial infections, lack of tactile sensation, keloid scarring, cuts and abrasions, or have had Botox injections within 72 hours. Other contraindications include sunburn, viral infections like herpes simplex, cystic acne or certain medications. Approved by the FDA, Light Emitting Diode was developed in the 1980's by NASA to improve the healing of wounds and tissue growth in space. LED Technology uses 100% safe wavelengths of light to stimulate and increase cell turnover, elastin production, increases circulation and increases the production of collagen growth. Collagen helps plump the skin, while elastin firms the skin. The wavelength of visible and invisible light repairs and replenishes damaged skin cells. This all gives the skin back its youthful look. LED Photo Light Terapy can be used on all areas of the body and on all skin types. The face, neck, décolleté and back of hands are the most popular treatment areas. Each treatment is 20 minutes and can be done every other day. Anti-aging light increases blood flow to heal, tighten, regenerate and treat lax skin. Gets to the core of what causes acne eruptions by destroying the acne bacteria. A must for clients who have acneic, problematic skin! Decreases dark spots and pigmentation, smoothes fine lines, scars and improves hydration. Extrememely beneficial for inflammation, this light is amazing after micorneedling. Wonderful for clients with rosacea and sensitive skin. Clients who are on any medications which increase light sensitivity should not be treated with LED photo light therapy. Copyright © 2019 Flawless Skin, all rights reserved.